At the heart of the business of insurance is Claims Processing. It is at this stage that the insurance company meets its commitment to its customers, sets standards of service, drives credibility, and fulfills its obligations. The claims environment is deeply reliant on process speed and accuracy to meet customer demands, as it involves layers of administrative, managerial, and customer service functions, marked by information intensive manual tasks and problematic document formats. Traditional claims processing depends heavily on manual labor. This makes the process increasingly inconsistent and prone to errors. The situation gets even more complicated when the workforce is outsourced. Companies often have to depend on unreliable and indifferently skilled workers, which means increased costs, and more time spent on completing the process. Paper, electronic documents, images, emails, and sometimes even the apps handling different stages of the process are different and not integrated. The result is a distinct lack of fidelity and accountability. Insurance companies are often trapped within the framework of the legacy apps that drive their core processes. Sometimes, these applications are outdated and do not interface well with newer, up-to-date solutions. In the labyrinth of software, processes, applications, and systems, data often get lost or become extremely hard to retrieve. This can go on to greatly increase the cost, as well as the dedicated time data retrieval takes. Changes in regulations can greatly impact processing. In fact, sometimes the whole process might have to be overhauled. This can become a major drawback when the company operates in different states and countries, each with its own sets of laws and regulations. still rely on manual input from human workers to process and navigate data between different systems. This burdens the claims process, leaves it exposed to errors, and adds extra cost. This is where Robotic Process Automation (RPA) comes in as a fully integrated, end-to-end automation solution that overcomes the above-mentioned obstacles. RPA works at the presentation layer, integrating with all applications and systems, including legacy systems, without creating disruption. It is entirely scalable according to necessities and has up to 100% robotic accuracy. Robots can seamlessly integrate different systems and software, including CRM, ERP, Helpdesk, Claim Application Software, and more. Even better, you can also be assured of a perfect fit with your legacy applications. Eliminate the margin of human error of manual data entry and speed up processing by streamlining work distribution. With UiPath you can cut in half the average time required to process a claim, while significantly increasing customer satisfaction. All of this, while reducing costs. By using UiPath, all the burdensome and repetitive tasks are taken care of automatically, so employees can be used more efficiently in processes and tasks that require higher level thinking and judgment. An evolution in all directions. Upscaling or downscaling operations can be done in an instant. There is no added cost involved with the increased volume. UiPath software robots are easy to train and require no coding skills. This means that you don’t have to outsource a whole team of programmers to adapt UiPath to the particular, idiosyncratic processes of your company. Anyone can do it, even your non-technical staff. We provide 100% accurate scripts that “see” the presentation layer at the control level. Our solution combines an intuitive and easy to learn Visio-style process designer with an enterprise-grade management platform, which can be deployed in the Cloud or on premises to manage all of an organization’s robots from a single console. Do more with RPA. 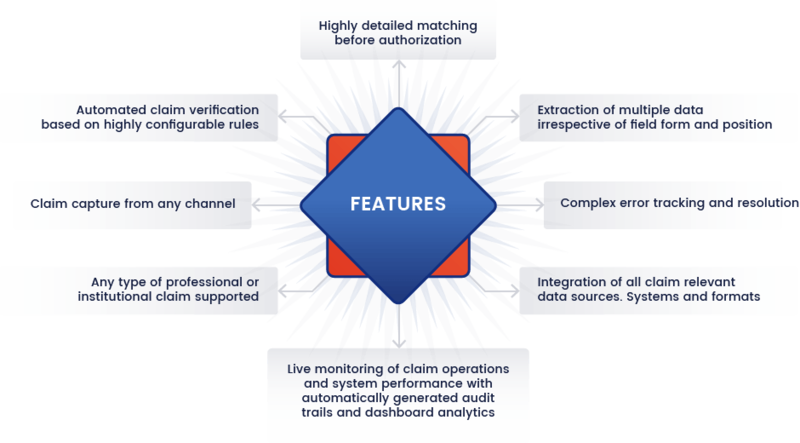 Once your Claims process is streamlined, you will be ready to extend automation to other areas of your business and deliver ever more exceptional customer service.